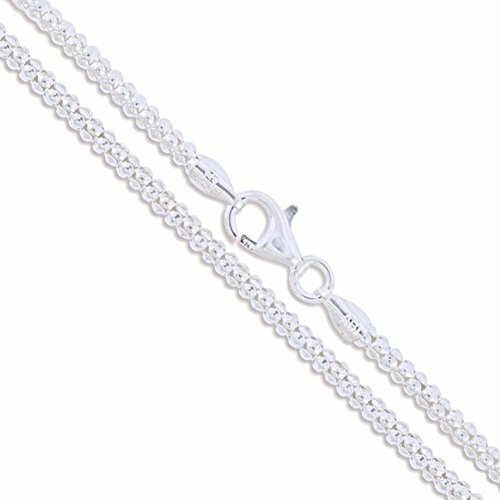 This popcorn style chain is of medium to small width yet it feels light and comfortable. The chain has been oxidized to give it a darkened finish which makes it a superb chain to match with oxidized pendants, pendants set with marcasite, or other genuine antique or vintage pieces. It was crafted in Italy, closes with a lobster claw, and is marked 925. Oxidation darkens silver and gives it a soft warm look as opposed to a high polished shiny look. 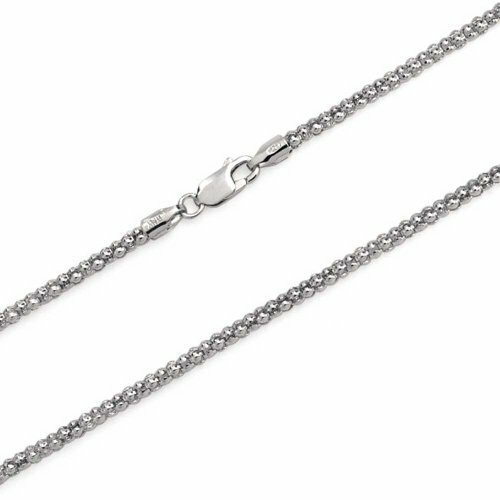 A .925 Sterling Silver Coreana Chain Necklace made with fine .925 Sterling Silver. 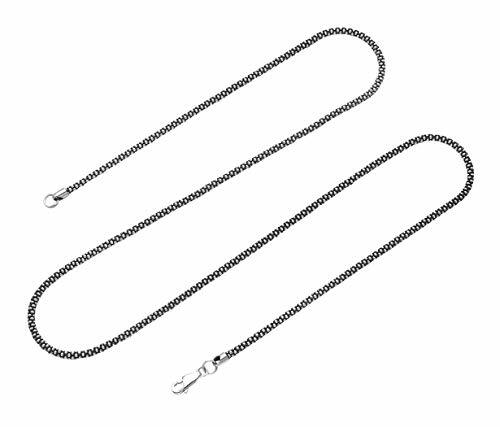 This unisex silver chain is available in lengths of 16, 18, 20 and 24 inches. Featuring a lobster claw clasp for ultimate security and function, this shimmering necklace is a perfect gift for yourself and others. 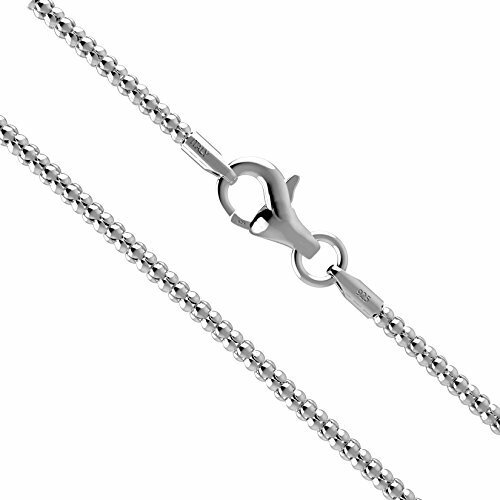 The 030 gauge chain is made to suit many of our silver pendants. 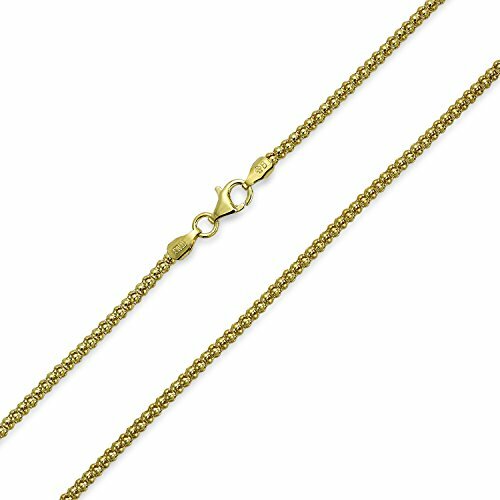 This remarkable unisex Coreana chain is fabricated from .925 Sterling Silver and coated in Gold Plated. 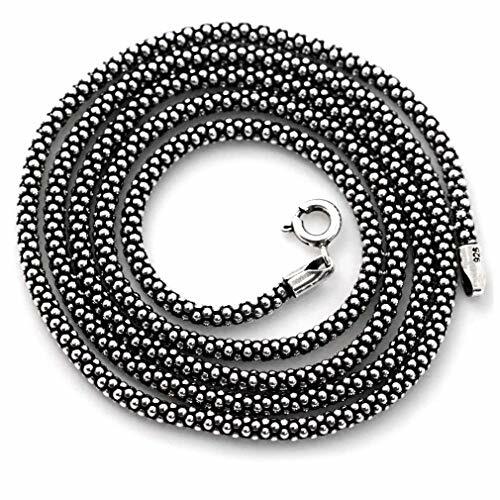 Available in 16, 18, and 20 inches, this 030 gauge fashion chain features a detailed classic popcorn motif with a high polished finish. It is fastened with a lobster claw clasp for maximum security. 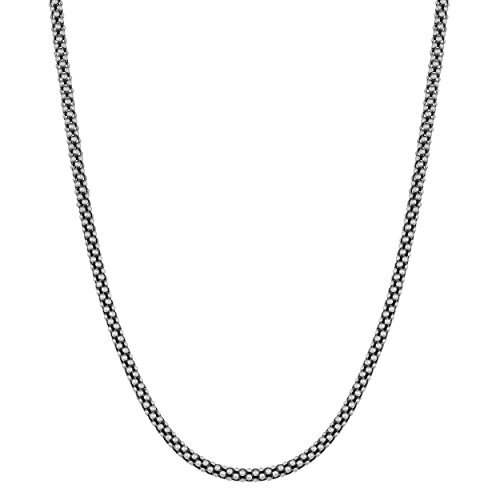 A fantastic unisex gold chain, this necklace can be worn as a standalone piece, or with a suspended gold pendant. This versatile and classic item makes a perfect gift for both men and women, therefore it is a must for everyone on your holiday list this year. Order yours today. 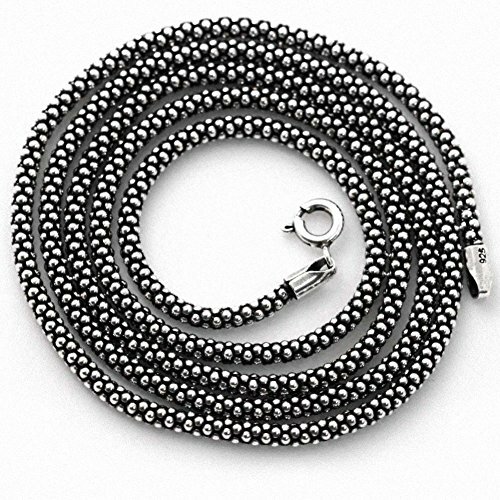 Sterling Silver Diamond-Cut Popcorn Chain 2mm Solid 925 Italy New Necklace 18"
This classic popcorn necklace is the perfect treat for the true sterling silver lover. This lovely necklace is beautifully crafted in sterling silver and finished with a comfortable lobster claw. A plus for every jewelry collection.Sterling Silver HistoryOriginating in Europe in the 12th century, sterling silver has been a source of value for everything from table settings to currency for centuries. Sterling silver is a soft metal, yet when combined with copper, produces a tough material that could be heavily relied on. Due to these qualities it is the perfect material to mold into intricate jewelry designs, giving a luxurious look at an affordable price.Sterling Silver CompositionSterling silver is created when combining pure silver with copper at a ratio of 92.5 percent silver to 7.5 percent copper to maintain its durability without harming its sparkle.Sterling Silver CareSilver should not come into contact with harsh household chemicals. To avoid scratches, store in a lined jewelry box or pouch, as it is prone to tarnish. Upon noticing any discoloration, use a gentle polishing cloth. 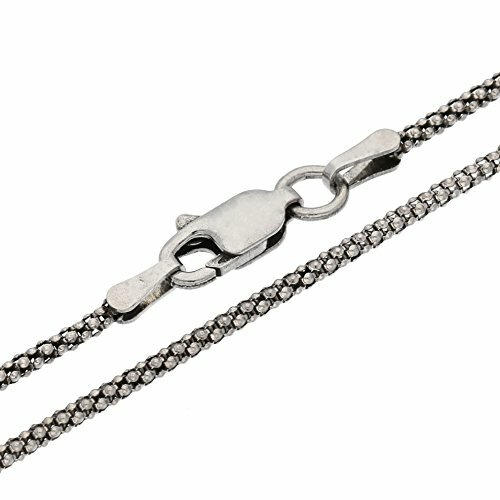 ITALY Sterling Silver Bali POPCORN Chain Necklace-Oxidized-2.8 mm- 7"~24"
Shopping Results for "Oxidized Popcorn Chain"